Show your face (or not) at our New Year’s Eve masquerade party at Frankie Farrell’s! Frankie Farrell’s, the Irish-style pub and grill on the grounds of Regal Palms Resort, invites you to attend its New Year’s Eve masquerade party. Admittance is $20 for adults and $10 for children. Villas at Regal Palms guests who are staying on property over the holiday will have a wonderful time enjoying a costume contest, balloon drop, champagne toast and party favors. There will also be a live DJ and one drink ticket. Please call 352-469-0280 to RSVP. Interested in spending New Year’s at VRP? Book a stay! We wish you happy holidays and a prosperous new year. 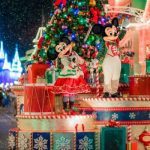 Celebrate the holiday season in Orlando! 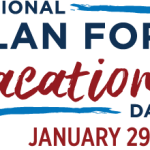 Plan an Orlando vacation in time for National Plan for Vacation Day!